We’re making fantastic progress on the room updates! As we round out 2018 and head into 2019, the updates are underway. 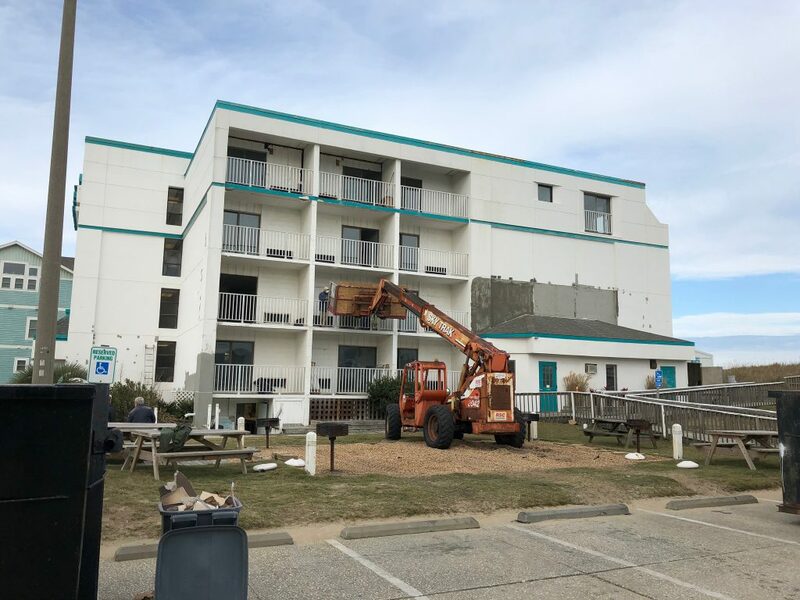 Each room in the Four Seasons Building has a plan drawn out, many new improvements on order and a strategy to let you enjoy your vacation even more in the OBX this year. The Four Seasons building will be completely improved not just on the inside, but the outside of the building too. We’re painting and giving the entire building an update to bring us into 2019 & beyond. It’s not just surface items that are getting updated! 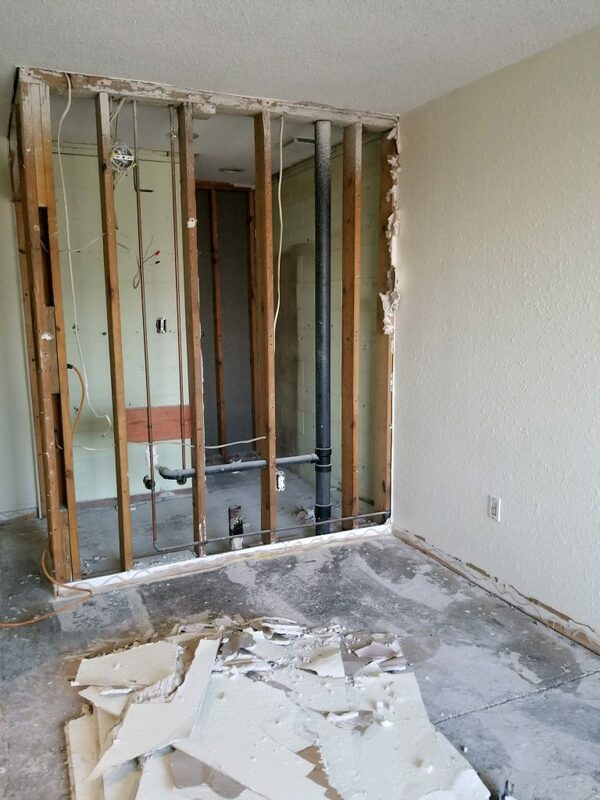 We’re bringing a brand-new look and feel to each room and this means bringing down the drywall and going to the studs. Once we’re done you’ll experience a brand new feel in each room at the Four Seasons Building. Photo: Making the rooms completely ready, we’re taking it all out! The team has been hard at work and making it easier to clean out each room, we have the right tools for the job. 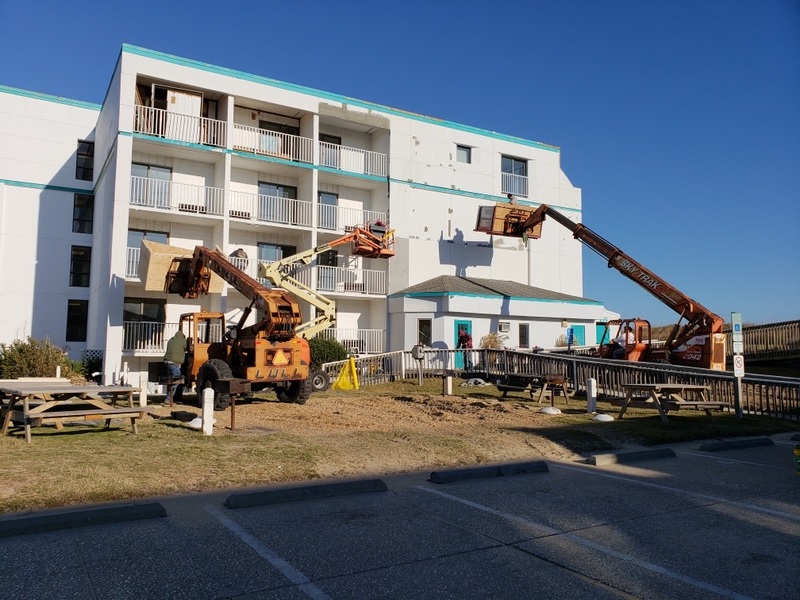 We’ll be keeping you up to date in the early months of 2019 with new photos of The Four Seasons Building progress and new rooms. Book today to be one of the first guests this Spring or Summer!